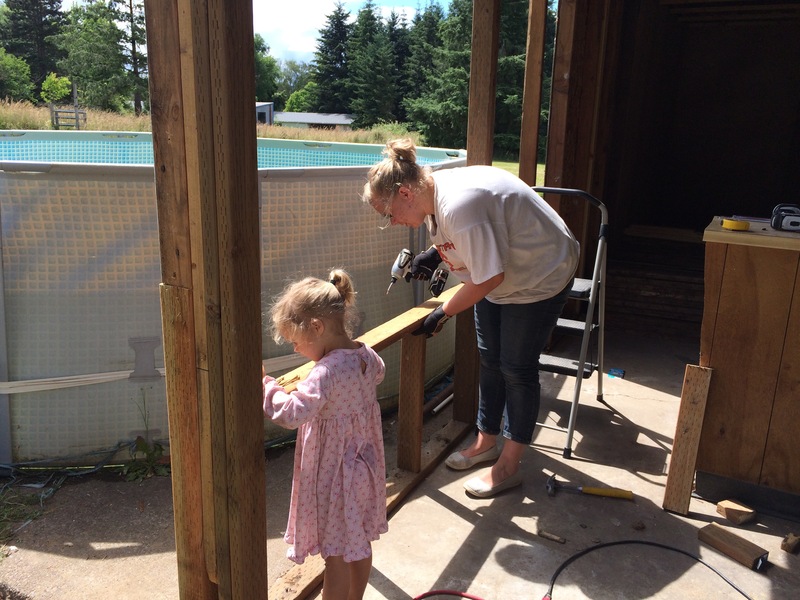 My daughter Melanie and her daughter at the cottage coastruction site. When my husband and I bought this house, from Melanie and her husband, it came with a workshop. I decided I wanted to turn it into a an art studio so my sister Cheryl and I begin brainstorming ideas. Of course it would need lots of windows for natural lighting. Melanie was here yesterday, and today, and energetically suggested we start working on the renovations. Melanie and I took out some walls and are installing huge windows for the natural light an art studio needs. Besides an art studio, this cottage will also house a guest room and stables for a couple horses! Updates coming as we progress. June 16, 2016 August 2, 2016 micheleballantyneart studio, Building, cottage, Remodeling, Women Building Awesome Stuff!